[FTC Standard Dislcaimer] I received no compensation for this post. 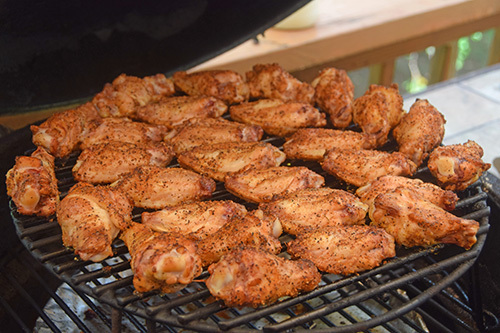 I have a lot of great wing recipes that I like to cook. My Cilantro Lime Wings with Habanero Butter always pleases a crowd. 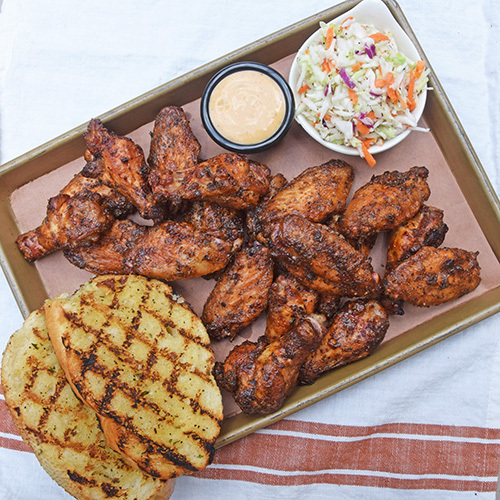 My Naked Cajun Wings recipe packs a lot of flavor. The Thai Sticky Wings recipe from my book is one of my all time favorites. Sometimes, though, I want wings but only want to put out a minimum effort. Today was one of those days and I was craving wings for lunch. 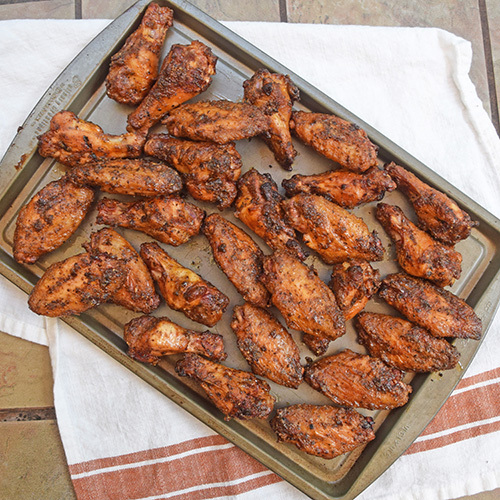 So I used used a reliable commercial rub and sauce to make these easy but fantastic tasting wings. 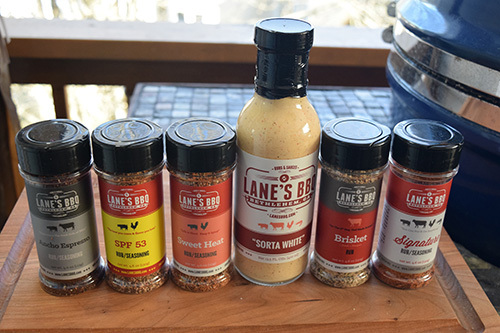 Lane's BBQ is a small batch BBQ seasoning company and they have a good reputation with grilling enthusiasts. 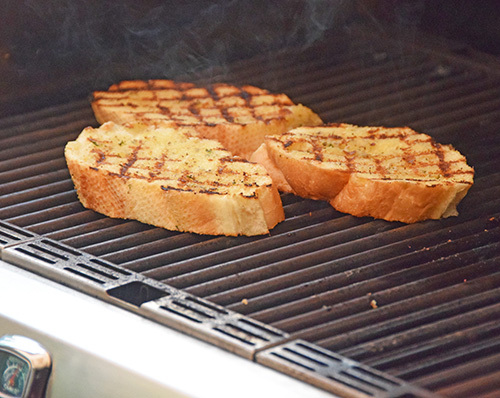 You can find their products at grill dealers, specialty food stores, and on line. We often get ours at Carroll's Country Store at Georgia Exit 82 on I-75 on our way to and from Florida. 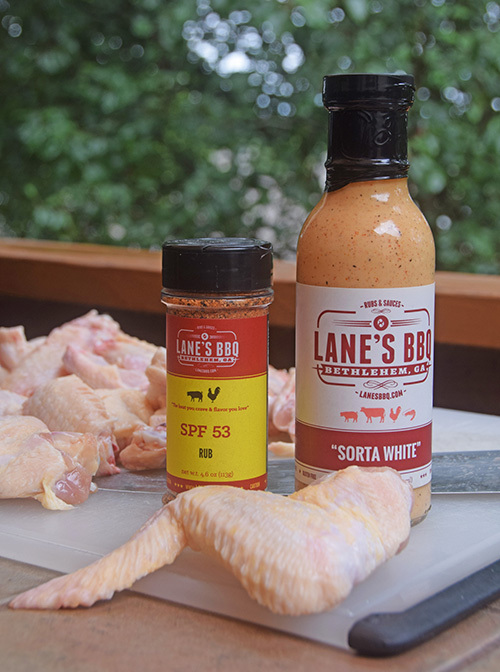 Combining Lane's SPF 53 rub and their Sorta White sauce is a winning flavor profile for wings. 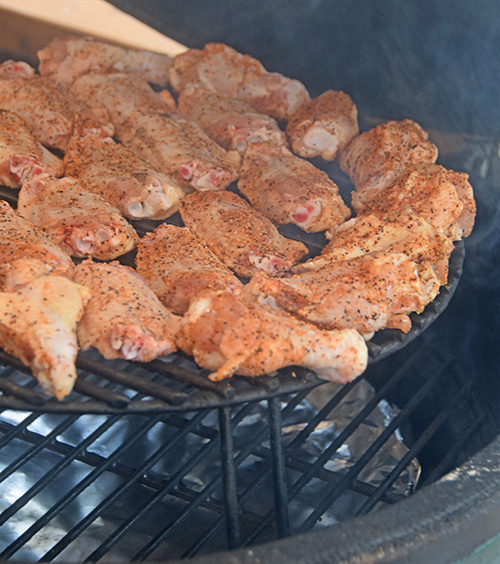 This is our "old reliable" when we want easy but good wings. I season them rather heavily with the SPF 53 and then put them on the grill at 375-400°f. Today I was going indirect but you can do these "raised direct" instead. This was on a Big Green Egg (Large) with a spider rig, stone, drip pan and then a raised Grill Extender from Grill Dome. I added a chunk or two of cherry wood and used the 30-20-10 method. 30 minutes on one side, flip and do the other side about 20-15 minutes. Then sauce and finish on the grill, about another 10 minutes. While those cooked, Alexis made coleslaw and I grilled some toast on my SABER Elite infrared grill (SABER is a sponsor but this isn't a sponsored post). For the toast, I mixed 4 tablespoons of butter with some salt, Albukirky's Green Chile seasoning, and dried parsley. The wings come out crispy. These have already been sauced and finished on the grill. This was much better than if we had gone out for lunch. 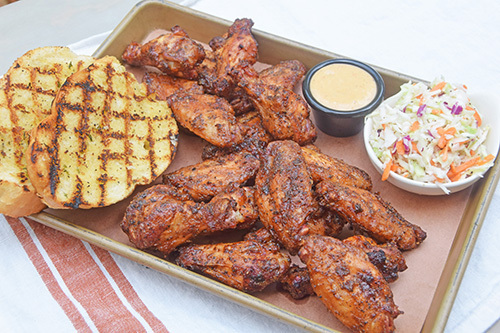 The wings were just smoky enough, with salt and heat coming from the rub, and the sauce brings it all together with a tangy bite. Of course we put some more sauce on the side for that extra burst of flavor.